She’s a pastor’s daughter who felt God’s call early on her life though admits she strayed from it. Her life experiences have taught her that God’s way and His principles are worth upholding. Today as mom of three, she is a God-fearing Christian woman determined to do the Lord’s will. Her heart’s desire is to reach the lost and win souls for the Kingdom of Heaven by sharing the Good News, according to Matthew 28:19. Ana wants hurting people to know that there is forgiveness through Jesus Christ. Our dear sister in Christ who has courageously shared her testimony of how Jesus has redeemed and restored her, learn more about Voices Against the Grain devotional writer, Ana Martinez, in the Q & A below. Where are you from? Michigan born and raised! Proud to be an American and blessed to have roots in Puerto Rico. Viva Puerto Rico and God bless America! How did you come to join the Voices Against the Grain team? Through my dear friend and fellow blogger Herbert Bowen, Jr.
What is your favorite childhood memory? My favorite childhood memory is going to cut down our family Christmas tree. The ground was covered with snow and on the car ride home my sisters and I sang songs with our Mother trying to convince our Dad through music to stop at a fast food burger joint called Hot n’ Now. Together we united forces and chanted, “We want Hot n’ Now! Hot n’ Now! Hot n’ Now! We want Hot n’ Now Hot n’ Now NOW!” Either we were very persuasive or he was just sick of hearing us sing. Nonetheless, it worked and he stopped. Yum! As a Christian, what is your understanding of why God allows trials/ temptations to come into our lives? I truly believe God allows trials and temptations to come so that our character can be molded and strengthened in Christ. Through my personal struggles I have become more dependent on Him and recognize my own strengths and weaknesses. Where we are weak He is strong. Praise God! What do you do in your spare time? As a mom of three, spare time is limited. So currently, I check emails, lol. What does having a relationship/ walk with God mean to you? To me, having a relationship/walk with God means spending time in His presence, keeping your eyes fixed on Jesus and asking Him to direct your steps. Daily submitting your will and desires unto Him and aligning yourself with His will for your life. It’s not easy but so worth it! What is your favorite food? I have so many favorite foods. #1 anything my mom and dad make! Puerto Rican food of course. Also homemade Italian and French food along with everything in New York! If you had a superpower what would it be? It would be awesome to be able to fly! Is there anything else we should know about you? I’m head over heels in love with Jesus and a supporter of Israel! 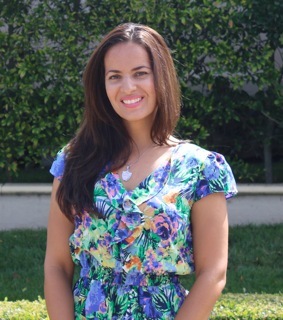 Learn more about Ana Martinez here. This entry was tagged Ana Martinez, Meet the Team. Bookmark the permalink.